The authentic Tuscan flavor comes from a marinade of olive oil, lemon juice and herbs, such as rosemary and basil. 1. 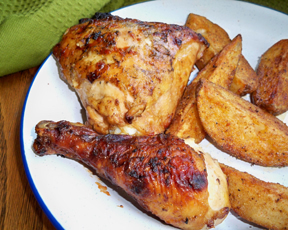 Mix all ingredients, except Cornish hens or chicken, in small bowl until well blended. 2. 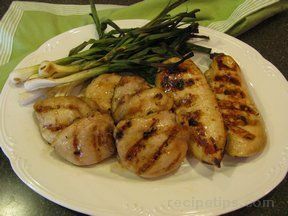 Prepare, marinate and grill Cornish hens or chicken as directed in Chicken Grilled Under a Brick.